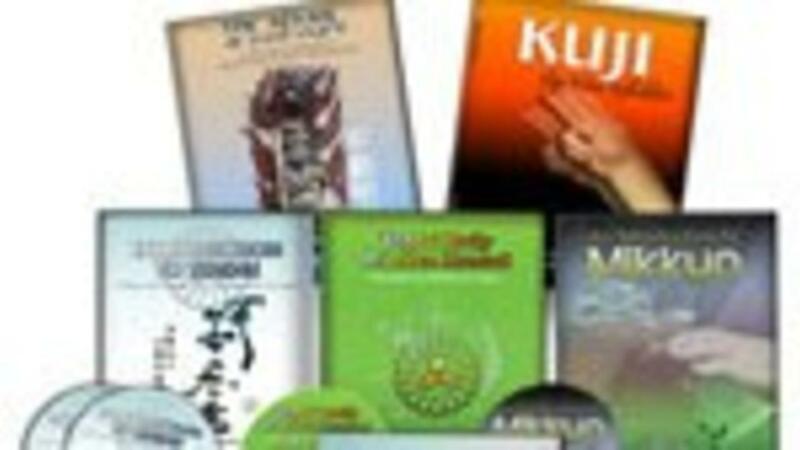 COMPLETE SATI "MIKKYO" COURSE PACKAGE - INSTANT EASY ANYTIME ACCESS!! If you are really going to study Mikkyo then you will need and want all of these course studies so we have put them together into one study course package for you to save you money over buying them individually! What is “Mikkyo”? Mikkyo is the Japanese word for Esoteric Buddhism and is usually translated as “secret teachings”. The doctrines of Mikkyo are taught through masters of Mikkyo and the information or knowledge is transmitted spiritually according to the abilities of the practitioners. Mikkyō (密教?, lit. "secret teachings", "esoteric, Tantric Buddhism") is a Japanese term that refers to the esoteric Vajrayāna practices of the Shingon Buddhist school and the related practices that make up part of the Tendai and Kegon schools. There are also Shingon- and Tendai-influenced practices of Shugendō. Mikkyō is a little-understood, yet often sensationalized, synergistic “esoteric construct” that lies at the very core of Japanese spirituality and mysticism. Mikkyō is a "lineage tradition": meaning that, as well as instruction in the teachings and practices of the tradition, it involves and requires “kanjoenablements” (initiatorial empowerment-transmissions) from a master of the Mikkyō disciplines. The collection of teachings and practices that eventually came to be known as Mikkyō had its early beginnings in the esoteric traditions of India and China. As early as the 6th century, there had begun a major importation of spiritual and cultural ideas into Japan from China. However, in the early 9th century the formative concepts which would become the core of “mainstream” Mikkyo — Shingon and Tendai — were brought to Japan, initially by the monks Kūkai (the founder of Shingon) and Saichō (the founder of Tendai), both of whom had traveled to China to study. To these initial doctrines and beliefs were later added teachings concerning the powers of mysticism, magic and healing that had gradually begun to reach Japan with the arrival of itinerant monks, priests, hermits and shamanic practitioners, forced to flee from China after the fall of the Tang Dynasty. It is said that the Ninja integrated these Mikkyo teachings and philosophies into their daily lives, which would be natural in Japan of those days. 2. MIKKYO:An Intro To - 99 page Training Manual and a meditation CD. Complete Mikkyo Course Package - ALL ONLINE - EASY INSTANT ACCESS! !